FIRE crews got more than they bargained for when they allegedly discovered that flames weren't the only thing rising high on a Strathdickie property last Friday. Queensland Fire and Emergency Services crews had been fighting a grass fire which had broken out around 11am last Friday. 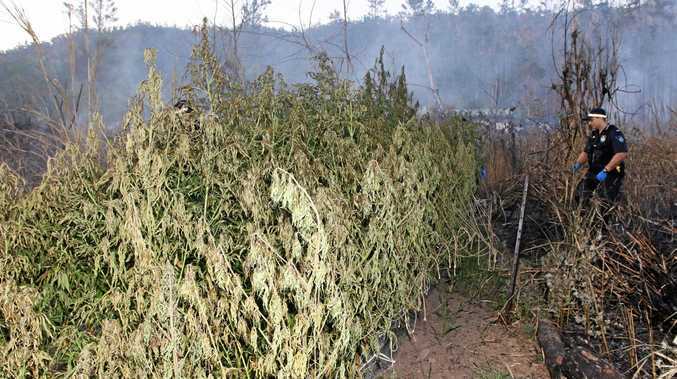 The fire had escaped containment lines onto the neighbouring property, but on entering, firefighters allegedly stumbled across a cannabis crop, which had miraculously escaped going up in smoke. Both Whitsunday and Proserpine Police attended the scene and allegedly found three separate crops on the property. Police said the plants were so well irrigated that although the fire burned hot around the crop, the plants remained untouched. 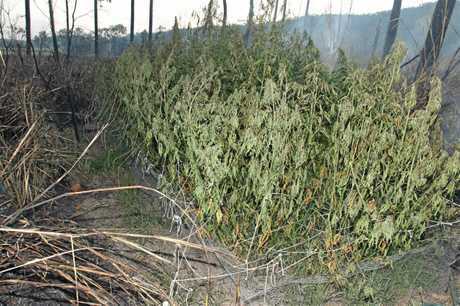 The crop, saved from the fire, was seized by police. A police report stated that 278 mature plants were allegedly found with a height measuring between 1.6-1.8m. According to police, the estimated street value of the crop was in excess of $1million. A further 2.5kg of cannabis had allegedly been stored in various locations around the property. OIC of Whitsunday Police Station Senior Sergeant Nathan Blaine said that police will continue to target drug offences in the lead up to Christmas. "A haul of such a significant amount has an impact on the local supply which is great in the lead up to the Christmas period," Snr Sgt Blaine said. "We encourage anyone with information on this incident to come forward. All information is treated as confidential." A man appeared in Proserpine Magistrates' Court on Monday charged with producing a dangerous drug, possessing dangerous drugs, possessing anything used in the commission of a crime and possessing utensils that had been used to produce a dangerous drug. The man was released on bail and is scheduled to appear in Proserpine Magistrates' Court again on December 10.